Do you need a professional, minimalistic style of binding that will allow for easy editing? Then the 4-pin Velobind strips will make a great addition to your office binding supplies! 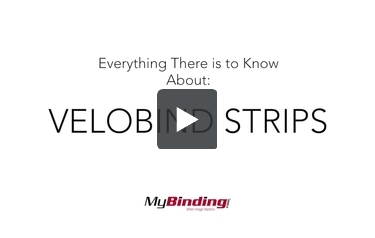 Velobind is the most secure form of binding and offers a clean look to your binding. These 4-pin strips are offered at 11" in length, accommodating standard letter paper size. They come in 25 and 100 packs, for low or high volume binding. And we have both black and navy blue strips available. Our 1" strips hold up to 200 sheets of 20 lb paper.